Very few historians believe that history is meaningless. If it were, then there goes the paycheck! Professional historians think the past can speak to us, if only we’d listen. The problem is that these “experts” don’t always agree on how particular people and events fit into the American story; because of their biases, they draw different “lessons” from the past, even though they arrive at them by looking at the same body of facts. We’re talking, in short, of the crucial difference between facts, discrete bits of evidence that have been proven true, and interpretations, how historians assemble some of the facts to create a picture of the past that makes sense to them. It is this confusion between facts and interpretation that is the source of several recent controversies over the importance of the burden of race to an understanding of the present-day United States. 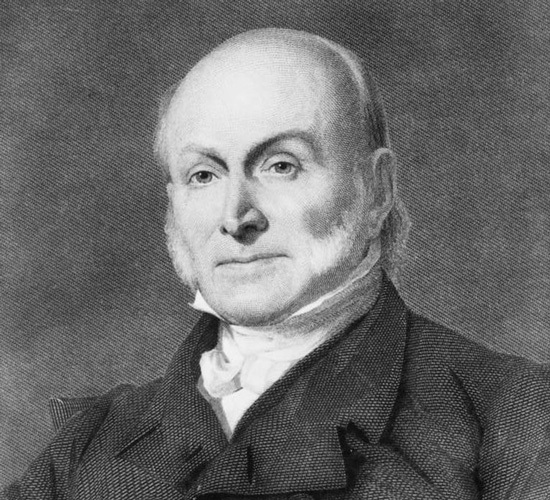 Then there were the ill-timed remarks of Emory University President James Wagner, who, in an article in the school’s alumni magazine, supported his plea for compromise in today’s Washington by citing the (in)famous “three-fifths compromise” adopted by the Philadelphia Convention in 1787, which counted a slave as 3/5 of a white person, for purposes of both taxation and representation (Article I, Section 2). The Internet soon exploded with harsh criticism of Wagner’s argument, because the “compromise” he praised came at the expense of slaves, and Wagner promptly backpedalled. In response to this brouhaha, the Atlanta Journal-Constitution’s political cartoonist, Mike Luckovich, pictured a chastened Wagner being told by a diverse trio of Emory students that, “We accept three-fifths of your apology.” Ouch! In his take on the Wagner controversy, columnist Jim Galloway wrote that “Mixing history with politics in Georgia. . . is like a trip to a suburban dog park. Keep your eyes on the ground, because it’s still nothing but a minefield.” Despite Galloway’s wildly mixed metaphor, he had a point. For example, in 2002, Democratic Governor Roy Barnes pushed through the legislature a new, less “Confederate,” state flag, to the cheers of Northern liberals, then found himself a one-term Governor, courtesy of angry (white) Georgia voters. 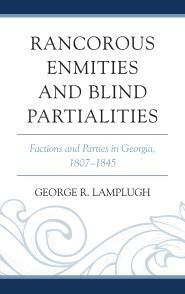 Then there was the Georgia Republican legislator who, during Black History Month no less, offered a bill that would have given the legislature “the power to determine which federal laws and regulations this state would be obliged to follow” (AKA, “Nullification,” an issue settled with finality by President Andrew Jackson in 1832-33). AJC op-ed contributor Rob Teilhet wrote that the current Shelby County, Alabama, challenge to Section 5 of the 1965 Voting Rights Act relies on the idea that there has been sufficient “progress . . . on matters of race that preclearance requirements are no longer necessary.“ But, Teilhet claimed, while it “is true that the South has made progress on the issue of race,” nothing has yet invalidated William Faulkner’s oft-quoted assessment of the heavy hand of the past, quoted above. Shannon McCaffrey and Daniel Malloy added that even those who claim the Voting Rights Act has “fed hyper-polarization” in southern politics believe that, “on balance, the act may still be worth the trade-off,” because it had both produced effective protections for minority voters and led to an increase of minority officeholders since it took effect. The Supreme Court began considering the Shelby County suit on the same day the nation’s first black President dedicated a statue of civil rights pioneer Rosa Parks, which suggests that the past remains relevant to an understanding of the present–and that it sometimes has a powerful taste for irony. On March 2, a New York Times editorial writer noted that the annual visit to Selma, Alabama, by a congressional delegation led by Georgia’s John Lewis, to commemorate the brutal March 7, 1965, attack on civil rights marchers, including Lewis, by state troopers and other thugs, on the Edmund Pettus Bridge, “should remind [the justices of the Supreme Court] of the enormous cost many Americans have paid to win the right to vote, and why that remains under persistent threat and must be defended.” This bloody incident played a key role in energizing American public opinion, helping to apply enough pressure on Congress that, a few months later, the Voting Rights Act of 1965 became law. Discussing the impact of the destruction of Moscow in 1812, Leo Tolstoy wrote in War and Peace that, “Even those [Russians] who, being fond of talking on intellectual subjects and expressing their feelings . . ., unconsciously imported into their talk a shade of hypocrisy or falsity or else of useless fault-finding and bitterness against persons, whom they blamed for what could be nobody’s fault.” To some extent, this dictum applies to the fulminations of today’s op-ed writers, political speechifiers, and, yes, bloggers, when confronting the related issues of race and history. Yet, while some commentators merely ransack the past looking for “facts” to support their particular “spin” on current issues, the worst of the lot are those who dismiss the idea that the past has any relevance at all to the present, and they do so at their peril. In short, we should not stop “stirring all that stuff up” just to “get along,” if “getting along” means ignoring the weight of the past, and, thus, refusing to confront the impact of long-buried issues on the present, especially the burden of race. Put another way, while we certainly can ignore the past in confronting the present and the future, doing so comes with a cost. And, while we individually might be willing to pay that cost, American society would surely be the worst for it. Orville Vernon Burton, “The South as ‘Other,’ the Southerner as Stranger,” The Journal of Southern History 79 (Feb. 2013): 7-50. Lincoln Caplan, Editorial, “Bloody Sunday Revisited,” New York Times (NYT), Mar. 2, 2013. Laura Diamond, “Emory chief blasted for slavery reference,” Atlanta Journal-Constitution (AJC), Feb. 21, 2013. 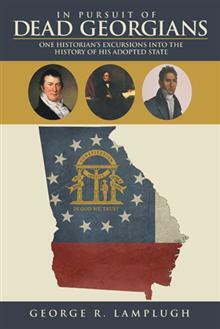 Jim Galloway, “Politics plus history can equal problems,” AJC, Feb. 21, 2013. Mike Luckovich cartoon, AJC, Feb. 22, 2013. Shannon McCaffrey and Daniel Malloy, “Voter law deepens political divides,” AJC, Feb. 26, 2013. Leonard Pitts, “No, Rush wouldn’t have stood up for Rosa Parks,” reprinted in AJC, Feb. 21, 2013. Campbell Robertson, “A Divide on Voting Rights in a Town Where Blood Spilled,” NYT, Mar. 1, 2013. Mary Sanchez, “Some states still up to old tricks trying to deny vote,” reprinted in AJC, Mar. 5, 2013. Charlie Savage, “Decision on Voting Law Could Limit Oversight,” NYT, Feb. 28, 2013. Rob Teilhet, “Politics haven’t left issue of race in past,” AJC, Feb. 26, 2013. Tracy Thompson, “Leaving Atlanta,” AJC, Mar. 3, 2013. George Will, “To progressives, a civil wrong is a threat forever,” reprinted in AJC, Mar. 3, 2013. 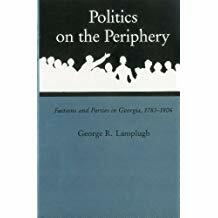 This entry was posted in American History, Constitution of 1787, Current Events, Georgia History, History, Interdisciplinary Work, Nullification, Philadelphia Convention (1787), Retirement, Southern (Georgia) History, Southern History, Teaching, Uncategorized and tagged Bloody Sunday, George Will, James Wagner, John Lewis, Leonard Pitts, Race and History, Rush Limbaugh, Voting Rights Act of 1965, William Faulkner, WP Longform. Bookmark the permalink. A tour de force! If only the Limbaugh’s and Beck’s of the world were interested in something other than their pre-conceived notions about the world, but alas, there is no chance that they will read real history. I’m still fighting the battle as we try to hire some replacements for the Department.